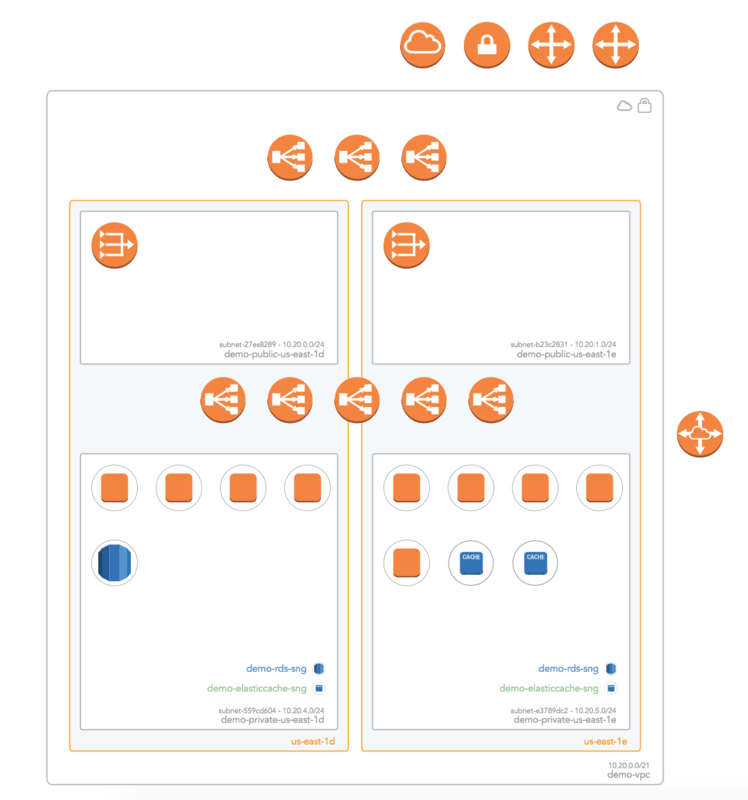 The AWS infrastructure view allows you to see everything in your VPC in one simple diagram. At a glance you'll be able to see which subnets and availability zones your resources are deployed in, how they connect to each other, and even how much they cost. With just a few clicks you can diagnose security and networking issues, find unused or underutilized capacity, and export your diagrams for use in documentation. By clicking any resource on the diagram you can see all it's information in the attributes bar on the right hand side of the viewer. Summary of information about the selected resource including ID, name, estimated monthly cost, and other information specific to the resource type. The attributes for the resource. Tags for the current resource. 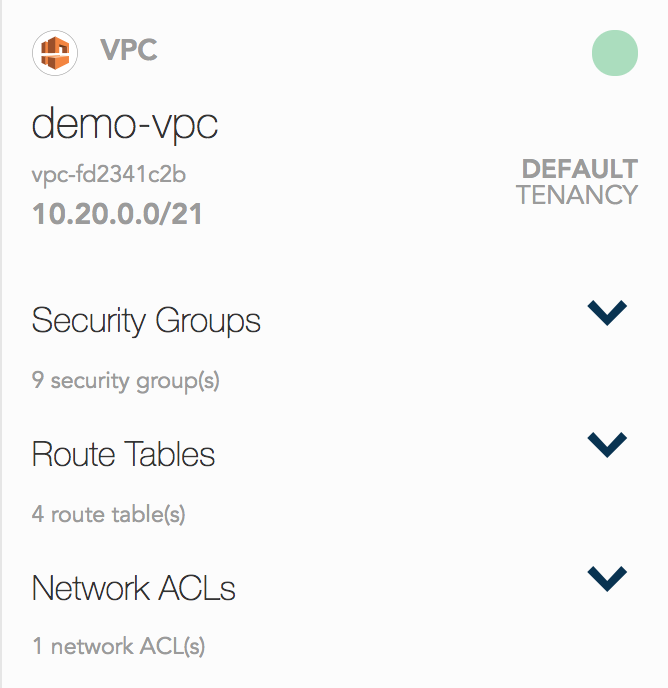 The VPC attributes panel also contains a list of all security groups, route tables, and network ACLs in the current environment. 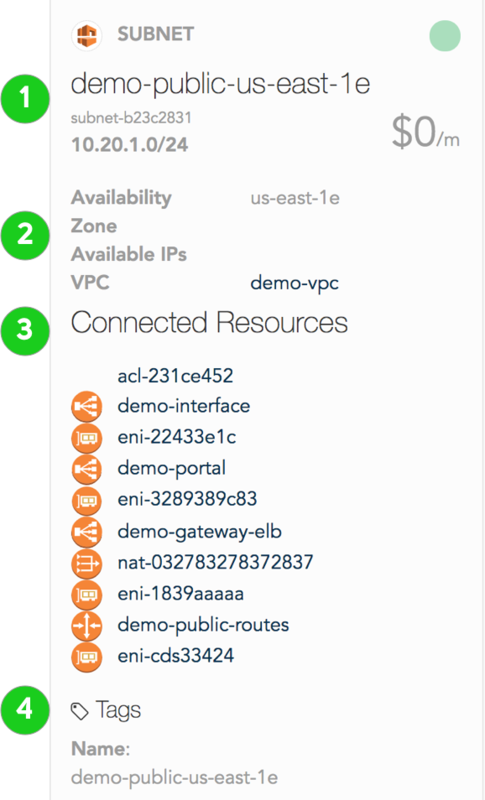 You can hover over any of these to see the connected resources, making it very useful for quickly diagnosing the connectivity between resources within your VPC. 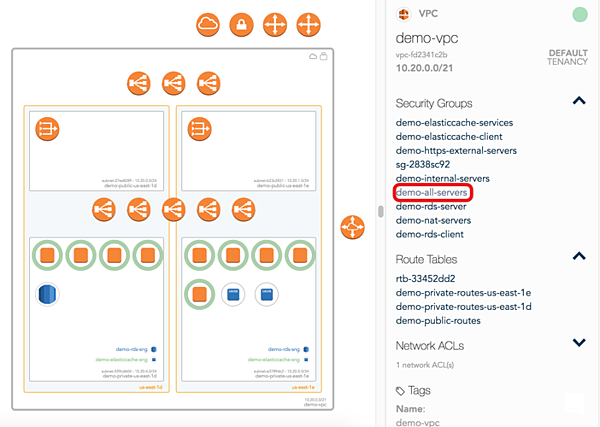 Select your VPC and you should see the different resource headings with an arrow allowing them to be expanded. An example of a security group highlight. An example of a route table highlight. 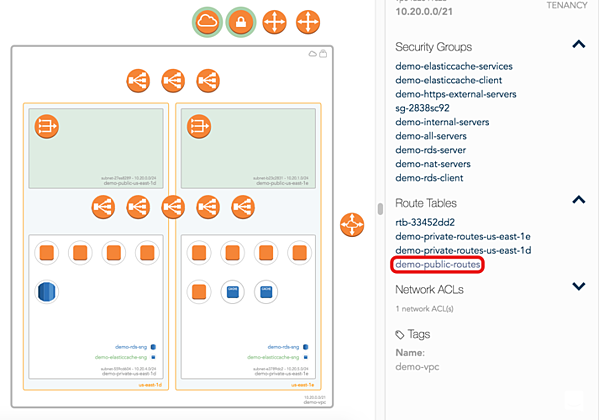 You can then click on the resource name to see it's attributes, such as rules for security groups and entries for network ACL's. 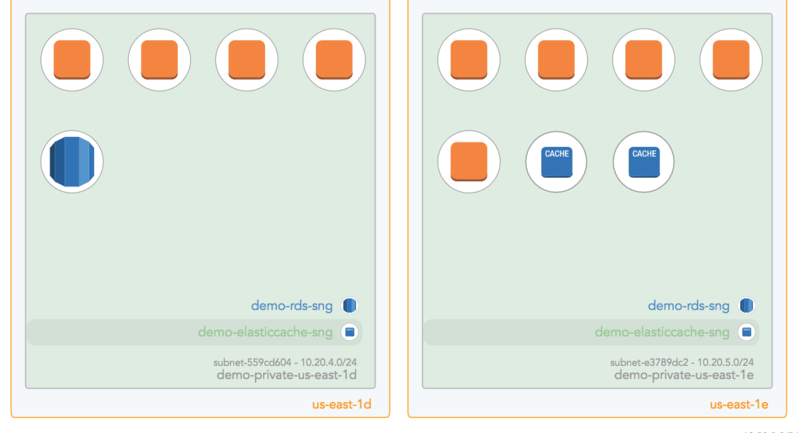 If you have deployed RDS, Redshift, or Elasticache resources into your VPC you will see a label on subnets that are contained within their respective subnet groups. You can mouseover the subnet group label to see which subnets are included within it. Much like the security group and route table lists you can then click the link to see all of the subnet groups attributes. We also offer an extended view for AWS Infrastructure diagrams. Just select 'Extended Infrastructure' from the view dropdown at the top right of the viewer to switch over to it. The extended view offers additional data for some reasons on the diagram itself, including provider ID and IP addresses.